The North Central Texas Council of Governments (NCTCOG) is a voluntary association of, by and for local governments, and was established to assist local governments in planning for common needs, cooperating for mutual benefit, and coordinating for sound regional development. NCTCOG’s purpose is to strengthen both the individual and collective power of local governments and to help them recognize regional opportunities, eliminate unnecessary duplication, and make joint decisions. NCTCOG serves a 16-county region of North Central Texas, which is centered around the two urban centers of Dallas and Fort Worth. 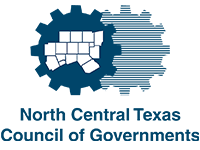 NCTCOG has over 230 member governments including 16 counties, numerous cities, school districts, and special districts. Click here for more information about membership in NCTCOG. Each member government appoints a COG voting representative from its governing body. These voting representatives make up the General Assembly, which annually elects the Executive Board. The Executive Board, composed of 13 locally elected officials, is the policy-making body for all activities undertaken by the Council of Governments, including program activities and decisions, regional plans, and fiscal and budgetary policies. The Board is supported by technical, study, and policy development committees and a professional staff headed by Mike Eastland, Executive Director. The Executive Board meets on the fourth Thursday of each month January through October and on the third Thursday of the month in November and December. The meetings are in the Transportation Council Room at NCTCOG offices, unless otherwise noted.